[Updated with video] Police are on scene at the Champs Variety store in Glebe Road this afternoon [April 15] following a robbery. Further details are limited at this time, however we will update as able. 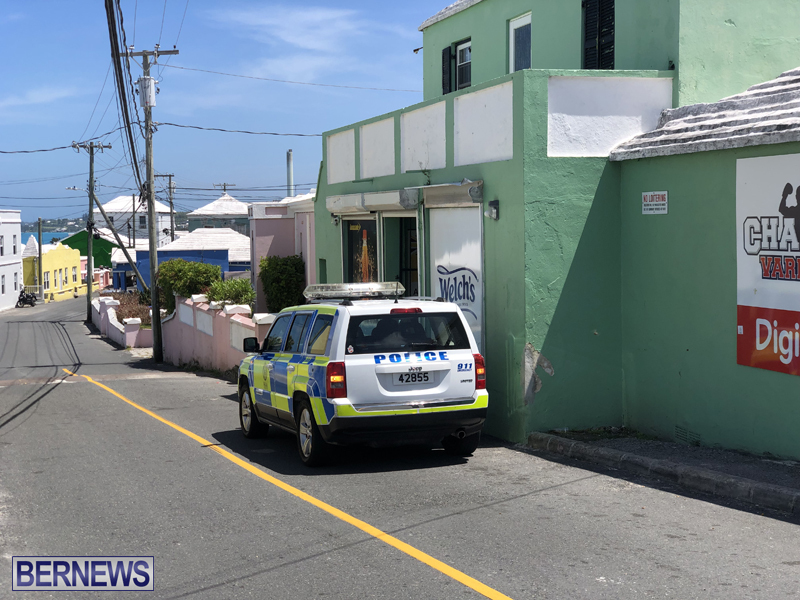 Update 1.33pm: Police said, “At around 12.45pm this afternoon, police received a report of a robbery at Champs Variety on the Glebe Road in Pembroke. Update 5.05pm: A police spokesperson said, “Around 12:45pm today [April 15th] police officers responded to a reported armed robbery at Champs Variety on The Glebe Road in Pembroke. “It appears that two suspects entered the store and demanded money, with one of the individuals pointing an object at the cashier that was covered in a piece of clothing – but believed to be a firearm. “Both suspects then left the area on a red motorcycle with an undisclosed amount of cash. “No one was hurt in the incident and inquiries are underway. I guess their pre-election promise to eradicate all this was Bull S!@#. What is the minister of national security doing about this? Shouldn’t Pastor Do Little make an appearance? Would be something if they returned home after and found someone robbed their house.